The Exeter College telephone campaign begins this evening, connecting the Exeter family around the world and across the years. 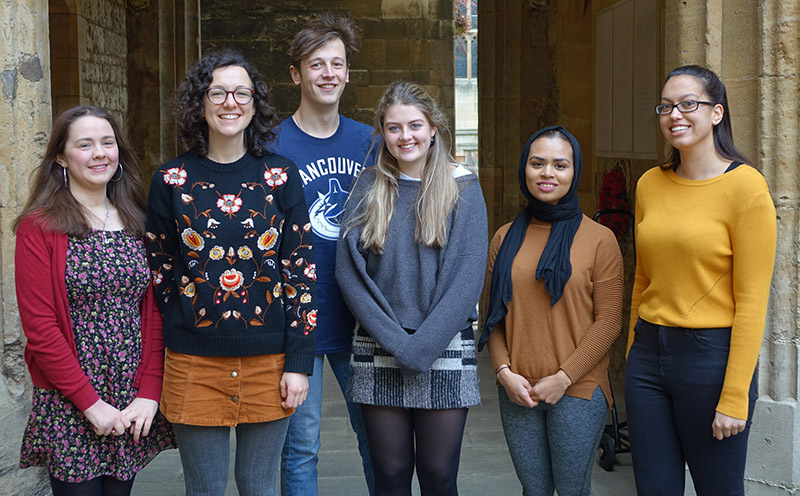 A team of 12 student callers will be sharing conversations with alumni about their experiences and memories of Exeter, and asking them to make a donation to the Alumni Fund which supports all areas of College life. We’re pleased to introduce you to some of the callers. I’m really passionate about Exeter College and want to help raise funds to ensure students here have the best experience possible. I’m really looking forward to hearing the alumni’s stories about their experiences in the College, and how it compares to what the JCR is like now. I want to help make sure that everyone at Exeter has access to the financial help they need in order to fully enjoy their time at university. I’m really looking forward to speaking to alumni and asking for their help in keeping Exeter an inclusive and diverse college. I love keeping alumni connected to the College, hearing their stories of what it was like years ago, and having great conversations with people who have followed various paths since university. Kyra, Fiona, Serin and the rest of the team will be calling alumni between 4 and 17 December. If you wish to make your donation now, you can do so here.